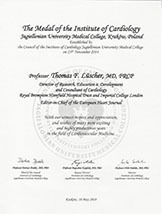 04.06.2018 Professor Thomas F. Lüscher receives the Medal of the Jagiellionian University of Krakov, Poland. 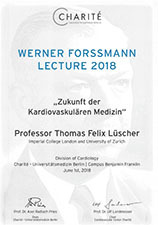 04.06.2018 Professor Thomas F. Lüscher receives the Werner Forssmann Award of Charité Berlin from Professer Ulf Landmesser. 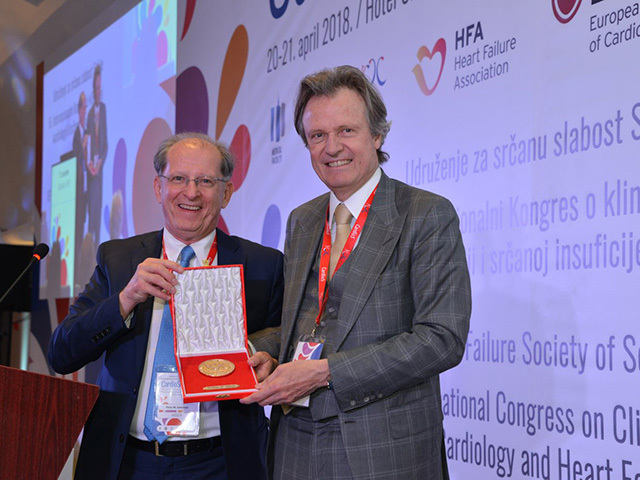 02.05.2018 Professor Thomas F. Lüscher receives the Gold Medal of the Serbian Heart Failure Society at the Annual Congress CardioS in Belgrad on April 21, 2018. 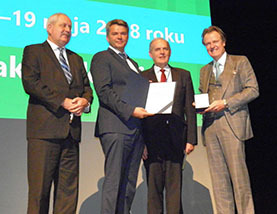 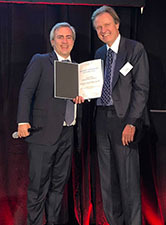 Professor Pedar Seferovic, president of the Serbian Heart Failure Society and president-elect of the ESC Heart Failure Association presenting the Gold Medal to Professor Thomas F. Lüscher.